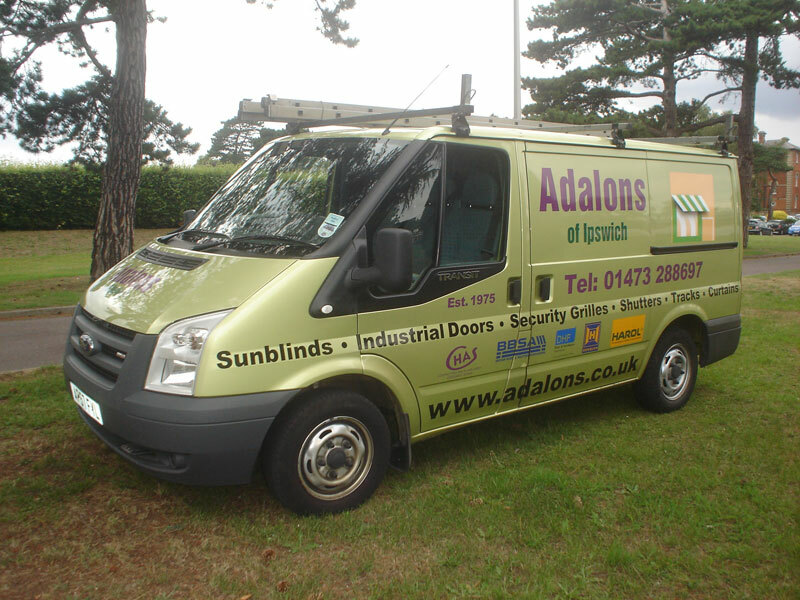 Adalons is a name long established in Blinds and Shutters, based in Ipswich and covering all Suffolk, Cambridgeshire and Essex, managed by Sean O`Sullivan who has over 35 years service within the company. Adalons are committed to providing quality products, at competative prices, and an outstanding level of service, offering free expert advice, free no obligation surveys and quotations, all products guaranteed and with manufacturers warranties. - All types of Industrial Doors & Shutters, Steel Fire Doors and Door Sets, Loading Bay Equipment, Dock Levellers, and Fast Acting Door Systems. - Garage Doors, Security Grilles and Shutters for shopfronts, Bar Grilles and Shutters, Collapsible Gates. - Acoustic room dividing Folding Doors and Movable Wall Systems. - All types of Awnings, Canopies and Shop Blinds, Plantation Window Shutters, Internal Window Blinds, Curtains and Curtain Tracks. No job too big or too small, Adalons work includes Domestic, Public and commercial Sector, Industrial, Agricultural, Local Government, Ministry, Hospitals, Schools and Universities.